Every four years, the Copenhagen-based European Environmental Agency (EEA) publishes its report "Climate change, impacts and vulnerability in Europe." Over the years, the findings have become more alarming; new records have been established. The past three years have been the warmest in the European record, global sea levels are at an all-time high, and the decline of the polar ice sheet is accelerating. Global climate change has substantially increased the probability of various recent extreme weather and climate events in Europe, warns this year's EEA report, an assessment of past and projected climate change along with its impacts on ecosystems and society. As land and sea temperatures increase and precipitation patterns change, wet regions are becoming wetter - especially in winter - and dry regions drier, particularly in summer. Climate-related extremes such as heat waves, heavy precipitation and droughts are increasing in frequency and intensity in many regions. All European regions are vulnerable to climate change, but some regions will experience more negative impacts than others, the report states. Coastal areas and floodplains in western parts of Europe in particular face an increased risk of flooding from rising sea levels, along with a possible increase in storm surges. 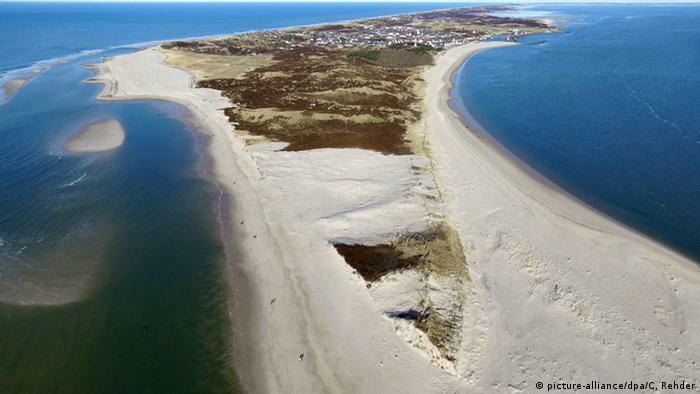 This is also increasing the flood risk, and has contributed to erosion along European coasts. 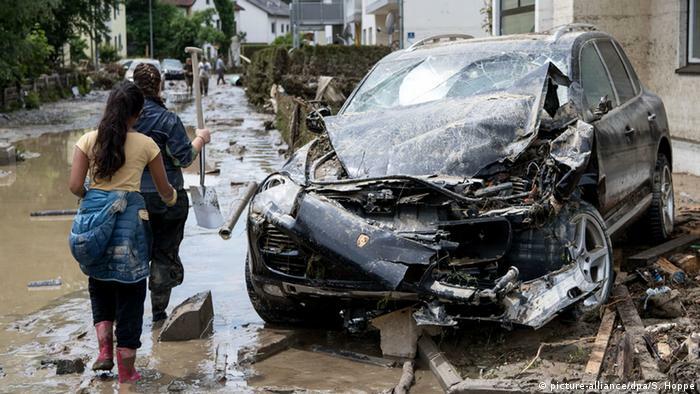 In Germany, flood-related losses can be expected to increase considerably as a result of climate change, a separate study by the Potsdam Institute for Climate Impact Research (PIK) shows. "Because of rising temperatures, evaporation and therefore humidity have increased. This makes extreme rainfall and flooding more likely," explained PIK researcher Fred Hattermann. 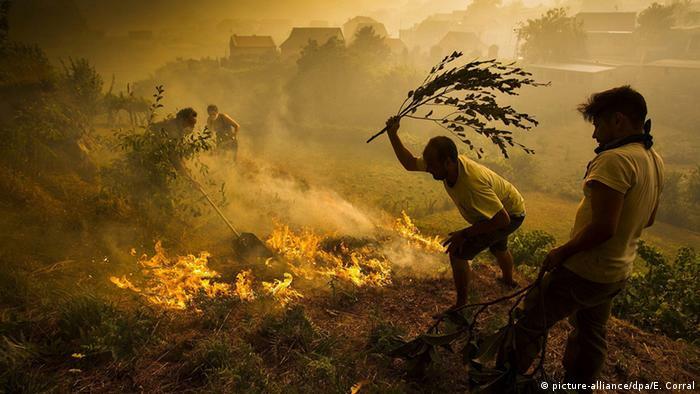 Southern and southeastern Europe are projected to be climate change hotspots. The region is already increasingly experiencing heat extremes, and decreases in precipitation and river flows. This has heightened the risk of more severe droughts, lower crop yields, biodiversity loss and forest fires. "Heat waves have already caused tens of thousands of premature deaths in southern Europe," said Hans-Martin Füssel who is among the authors of the EEA report. "Countries like Spain are increasingly building water desalination plants to deal with water scarcity, and in some cases even large cities have had to rely on water supply by tankers." According to the EEA, the observed changes in climate are already having wide-ranging impacts on ecosystems and economic sectors in Europe. As a result of ocean acidification, seawater warming and the expansion of oxygen-depleted dead zones, various marine species - including commercially important fish stocks - are migrating northwards. Many land-based animals and plant species, too, are changing their lifecycles and migrating northwards and to higher altitudes. Regional extinctions have been observed; various invasive alien species have established themselves or expanded their range. According to Füssel, climate change also affects tourism in southern European countries: "It simply gets too hot in summer." There are also human health impacts, as heat waves hit cities and climate-sensitive infectious diseases carried by insects - for instance Lyme disease linked to ticks, or dengue fever that is related to the Asian tiger mosquito - gain ground. Europe is also being affected by climate change outside Europe, through trade, infrastructure, geopolitical and security risks, and migration. The EEA warns that the economic costs of climate change - even at relatively modest levels - can be very high. Since 1980, climate-related extreme events in EEA member countries are said to have cost more than 400 billion euros ($428 billion) in economic losses. Available estimates of the future costs of climate change in Europe consider only some sectors, and show considerable uncertainty. Still, the projected damage costs from climate change are highest in the Mediterranean region. Adaptation to climate change is said to be necessary to reduce short- and long-term risks. Ecosystem-based approaches should be combined with technological solutions; governmental agencies and the private sector should be involved. The magnitude of future climate change and its impacts depend on the effectiveness of global climate mitigation efforts, states the report. "Mitigation is central to limit the long-term risks of climate change," Füssel pointed out. According to him, this applies at the political as well as for the individual level. Both Füssel and Hattermann believe that last year's Paris Agreement was a major step forward. However, both of them fear that the Trump administration in the USA could be a major setback.